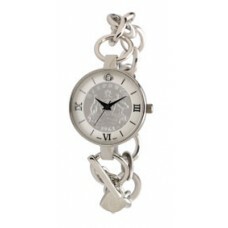 Just for the ladies this stainless steel case and chain bracelet with t-bar clasp and heart shaped charm has rhodium plated finish. 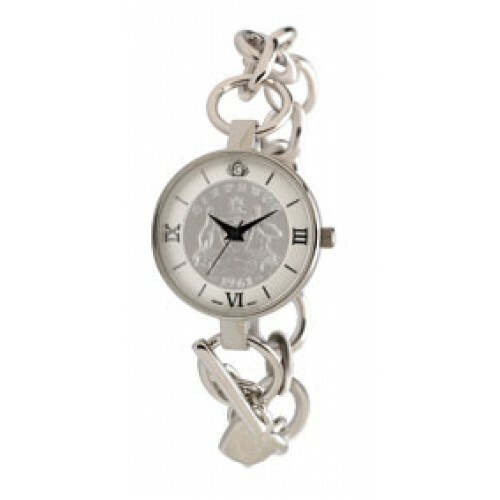 An white upper dial with silver hour markers and Roman numerals at 3,6,& 9 to compliment the coin centre. A scratch resistant sapphire crystal ensures you will always look your best. A precision Swiss quartz analogue movement will provide years of reliable time keeping. 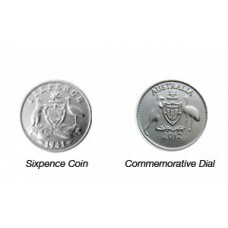 Years after 1963 and when coins were not minted we have permission to produce a commemorative replica dial that will be featured according to your choice.